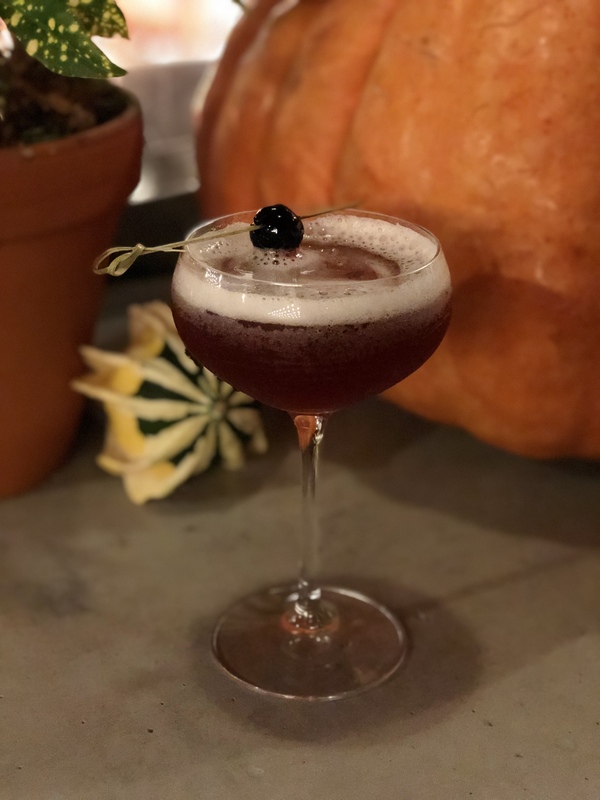 Boston’s bartenders have brought out their spell books for eerily enjoyable Halloween cocktails. Some are smoky, others are sweet but they’re all spectacularly spooky. 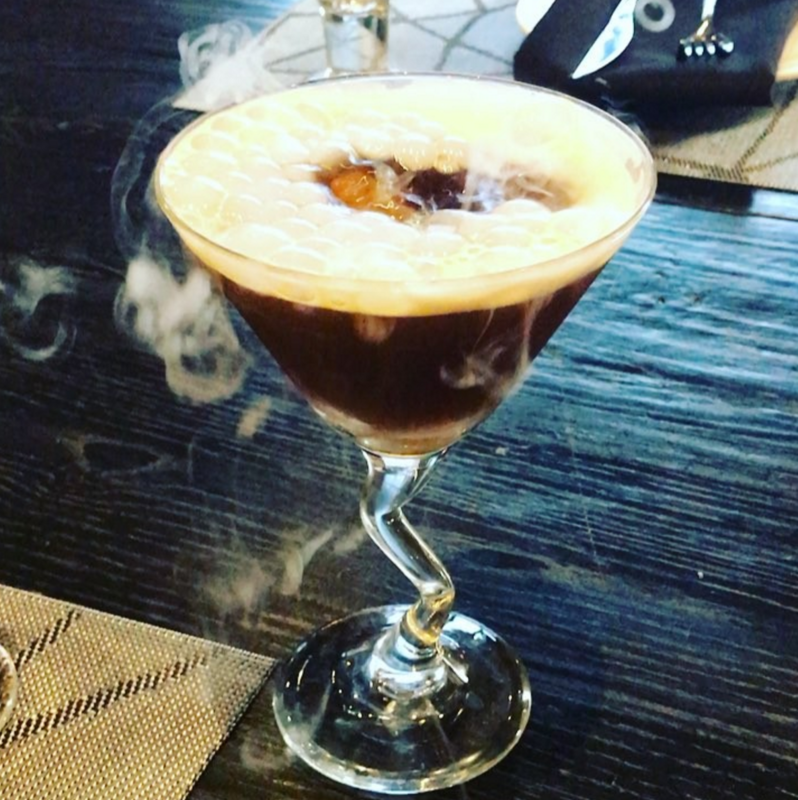 Don’t be afraid — the potions and brews below may look frightening but they’re delicious and enchanting from some of the best witches and wizards … errr, mixologists … in town. This Halloween treat at TAMO Bistro + Bar made for two is fun, fresh and all sorts of freaky. 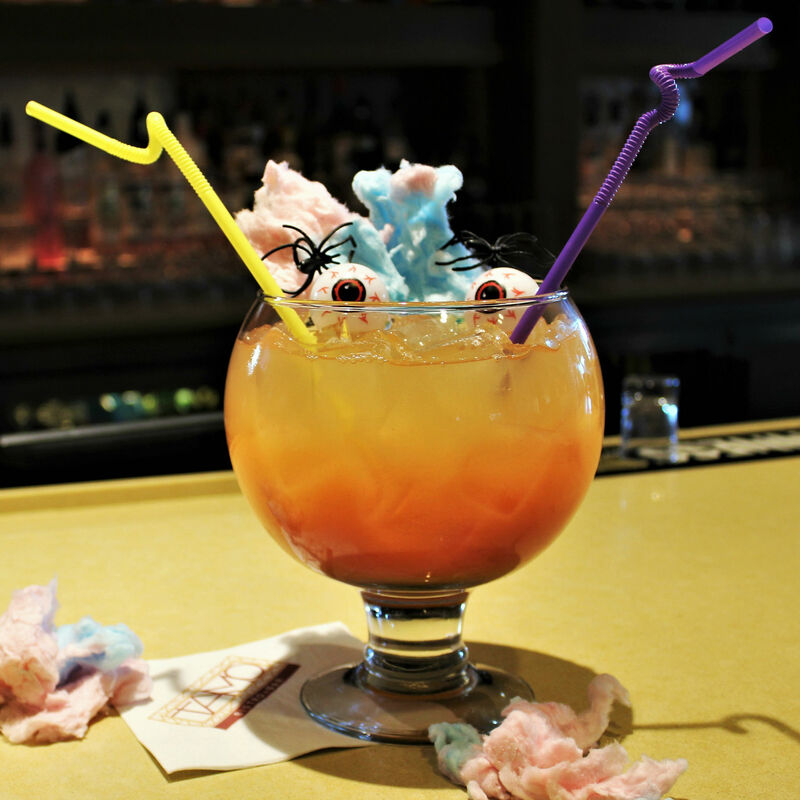 Bacardi and rum mixes with pink guava pureé, pineapple juice and Angostura bitters for fruity flare and then is piled with heaps of cotton candy. To complete the Halloween Bowl, wearable spider rings, plastic eye balls and crazy curly straws stick out the top. Order if you dare! 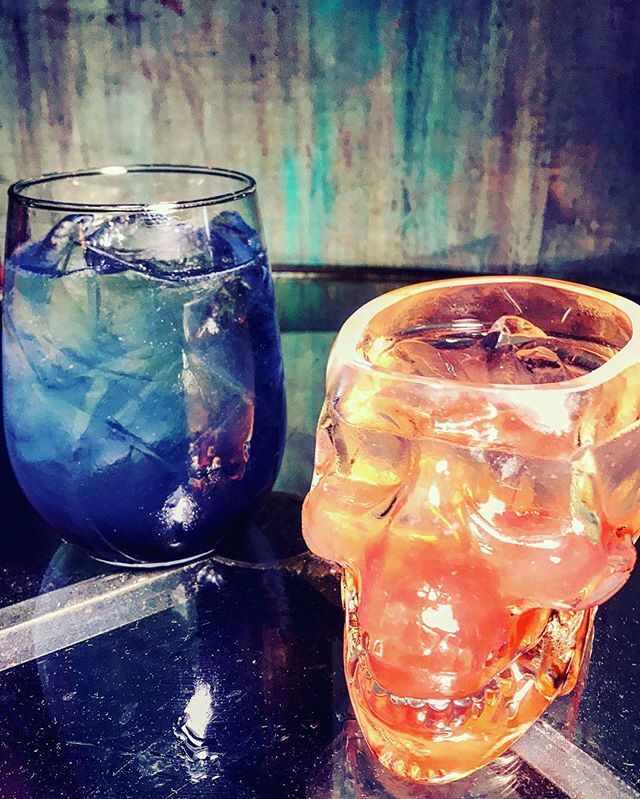 Available only on October 31, ArtBar’s exclusive cocktail is ghoulishly good. The bewitching brew — Black Magic — features dark rum, lime juice, porter beer and a splash of orange bitters. A dry ice square brings bubbling, boiling and some creepy fog for your own taste of toil and trouble. 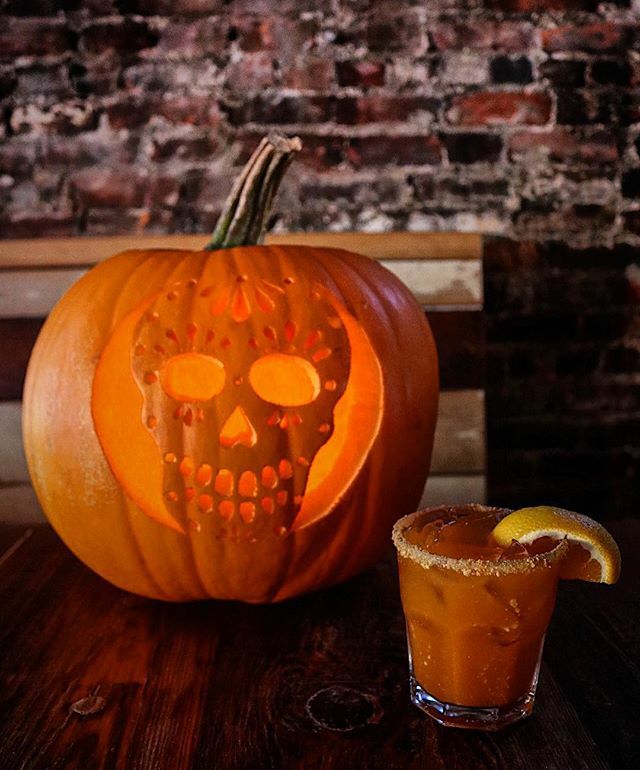 Pumpkin spice lovers will savor Loco’s Pumpkin Spice Margarita with tequila, triple sec, pumpkin pie liqueur and house pumpkin purée. A graham cracker rim gives it a true pie feel (and, let’s be real, adds some more deliciousness too). 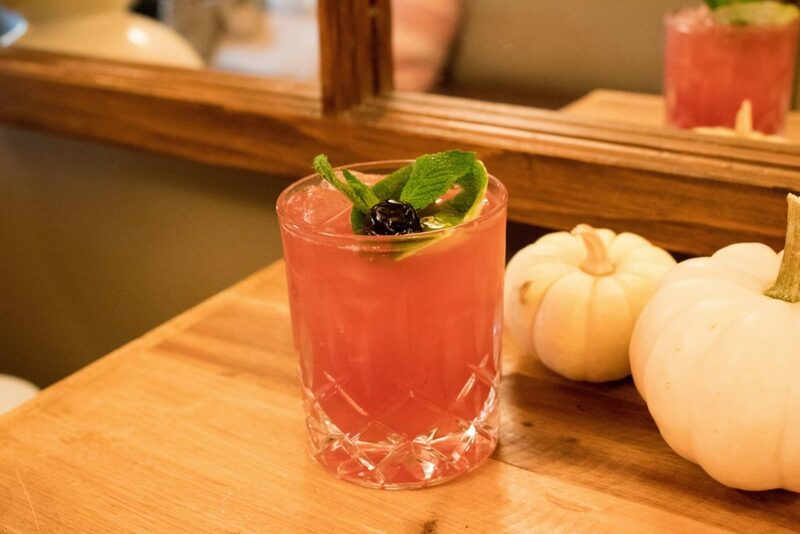 The Scarlet Oak Tavern offers up an elegant yet casual cocktail for Halloween — The Sleepy Hollow. Made with citrus vodka, Lillet Blanc, Concord graphe, and a splash of club soda, you’re sure to feel refreshed after eating all that Halloween candy. Cozy up with Grotto’s il Frutteto, which features fall flavors like spiced pear and apple cider and is topped with prosecco. 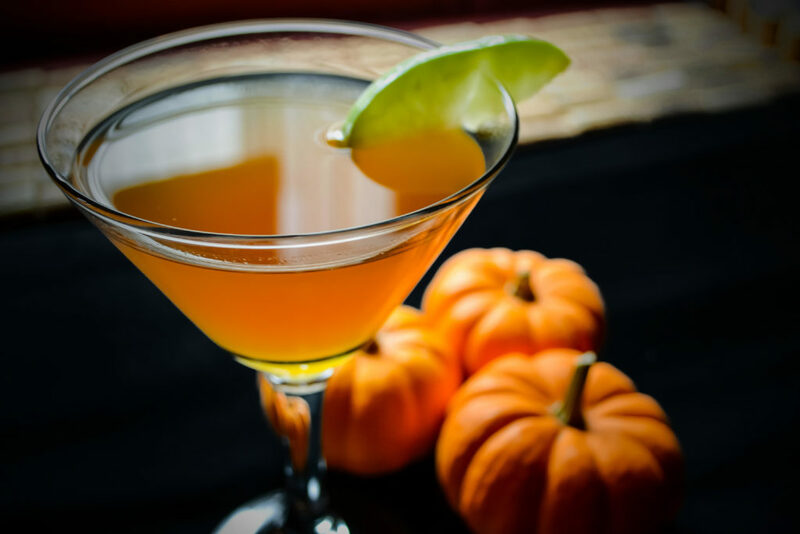 The Grey Goose Le Citron-based drink is available for spooking sipping all Halloweekend. 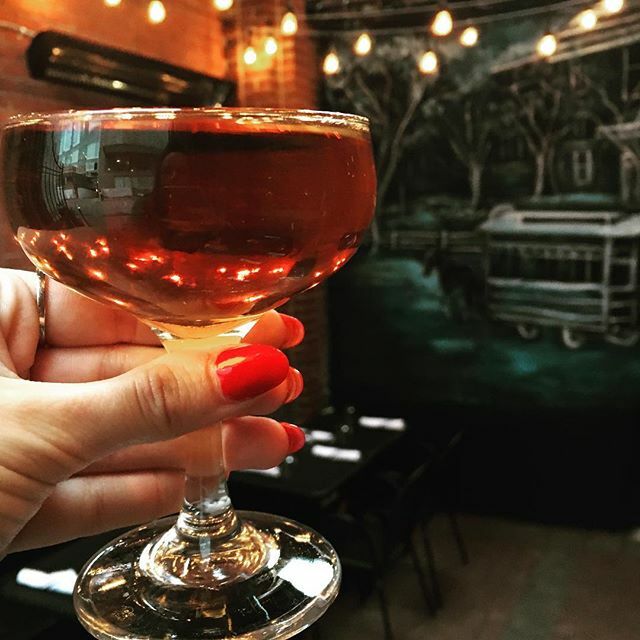 Head to the Long Wharf for the True Blood cocktail at State Street Provisions. 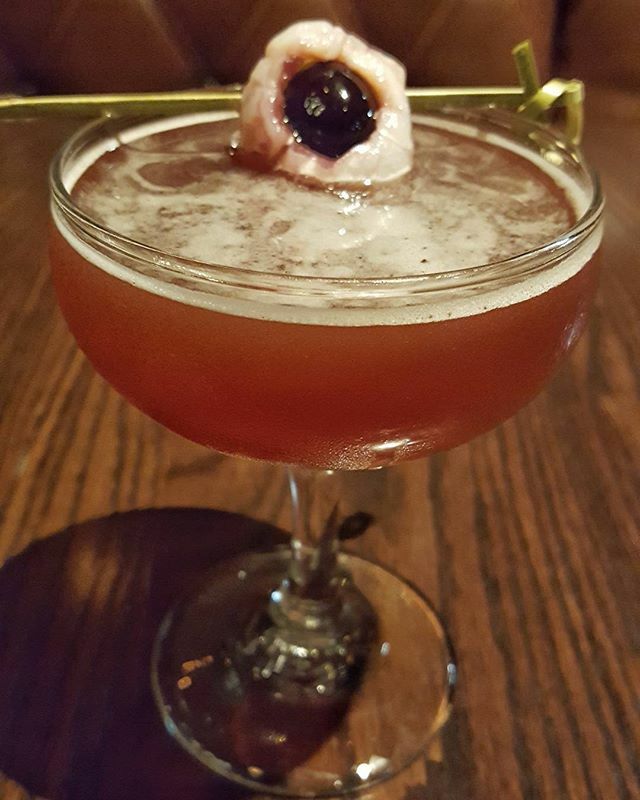 Tequila, cherry heering, grapferuit and benedictine blend together for revitalizing smoothness and a spooky eyeball garnishes the top. 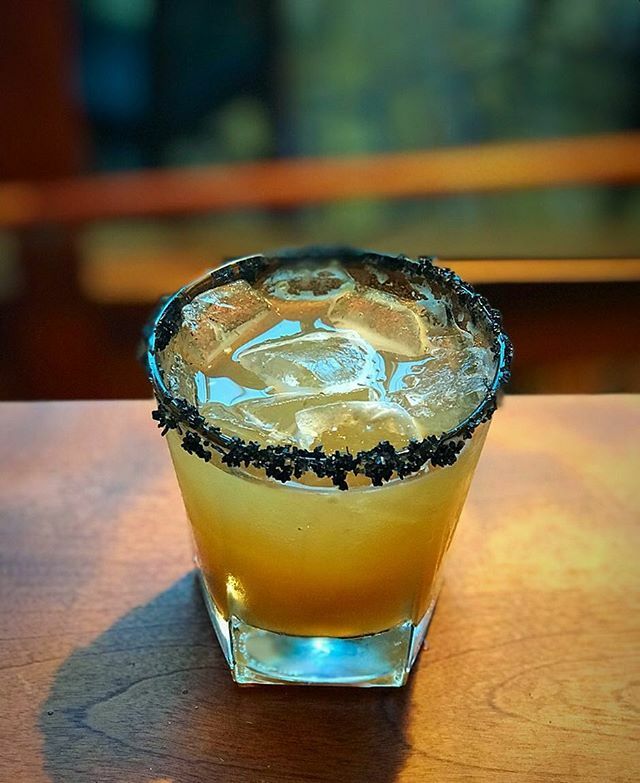 Tico’s cocktail embraces the darker side of Halloween with The Skull Crusher. Stoli orange, Frangelico, fresh lemon, vanilla simple syrup and a POM swirl are served fittingly in a skull cup for a (slightly) terrifying presentation. Rosebud may be known for its pies and Thursday night trivia, but their boozy milkshakes are equally fun and yummy. 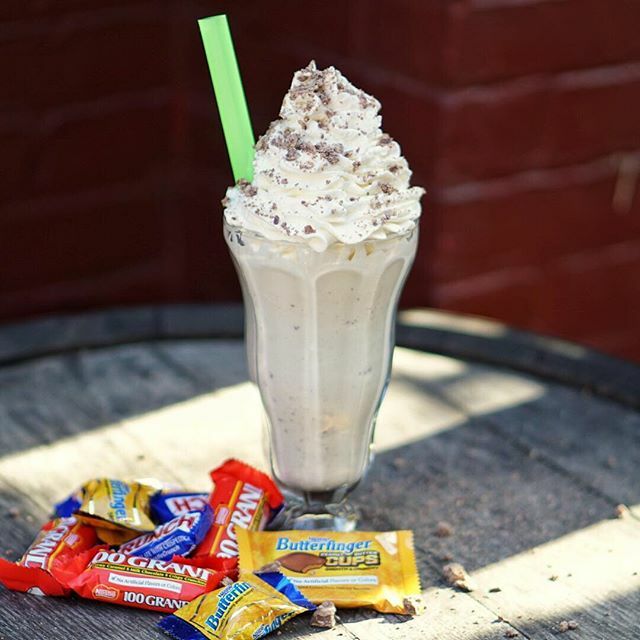 Their trick-or-treat milkshakes incorporate candies like Butterfinger, 100 Grand and Crunch into indulgent creations that will satisfy any sweet tooth. Cinnamon infused rye whiskey, roasted pumpkin, suze and dry vermouth make up Post 390’s Spiced Pumpkin cocktail, which was voted as the winner by customers through an Instagram contest. Enjoy it now through Halloween. This bright green concoction looks more like it belongs in a cauldron than a cocktail glass, but fear not — it is delightfully sweet and pleasantly tasty. 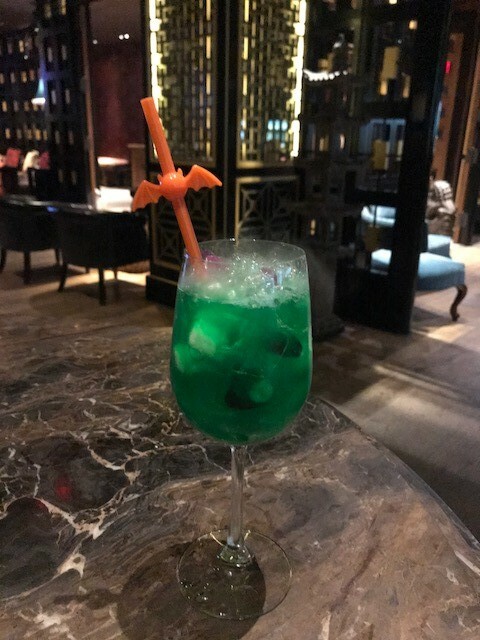 The Witches Brew from Empire fuses Grey Goose, apple, melon and lime with some entertainment in a bat-decorated straw. The city-chic swanky steakhouse knows how to make a great craft cocktail. 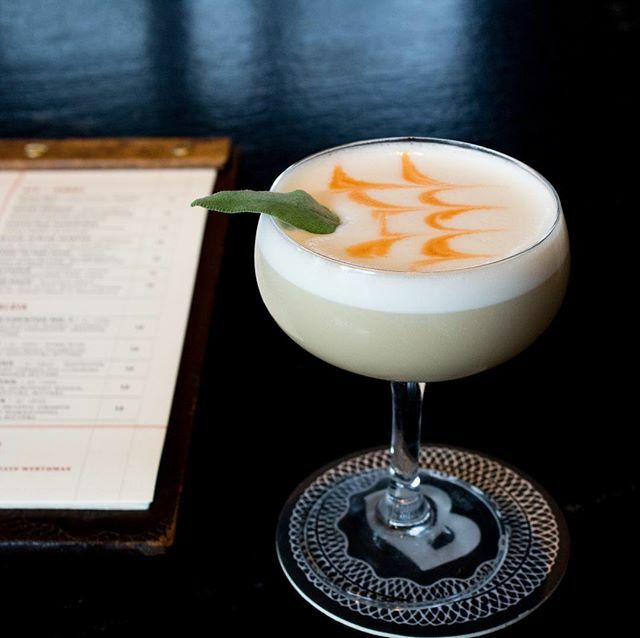 Find The Sacrilege at The Bancroft, featuring Privateer Rum ‘Queen’s Share’, fall-spiced apple, sage, lime, and egg white. Made with the smokiest of ingredients, like Dobel Humito Tequila and jalapeno, the Smoke n’ Mirrors turns up the heat at Chopps American Bar & Grill just in time for the holiday weekend. The real kicker is the black salted rim — a spooky yet appealing finish. Crimson Crook tastes like autumn in a glass. 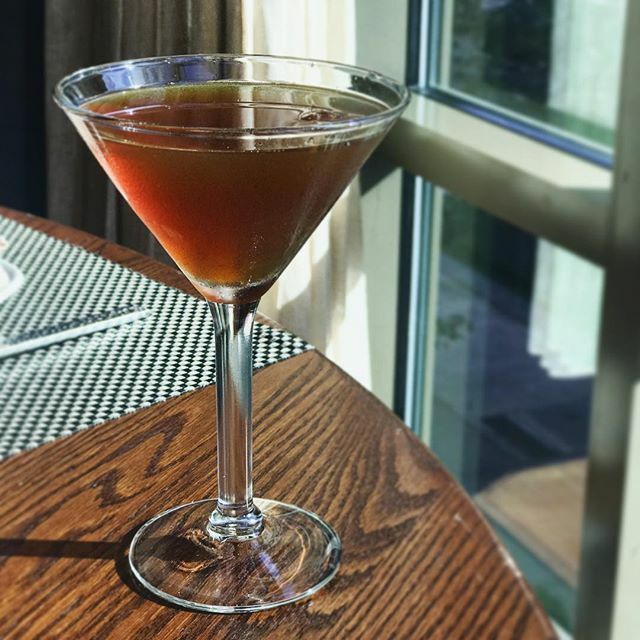 Made with Laird’s Applejack, Old Overholt Rye, Luxardo Maraschino, Punt E Mes and some bitters, The Hourly presents this sophisticated sip as a great pairing with their seafood. Alden & Harlow is mixing it up this fall, using Japanese whiskey in the best way. 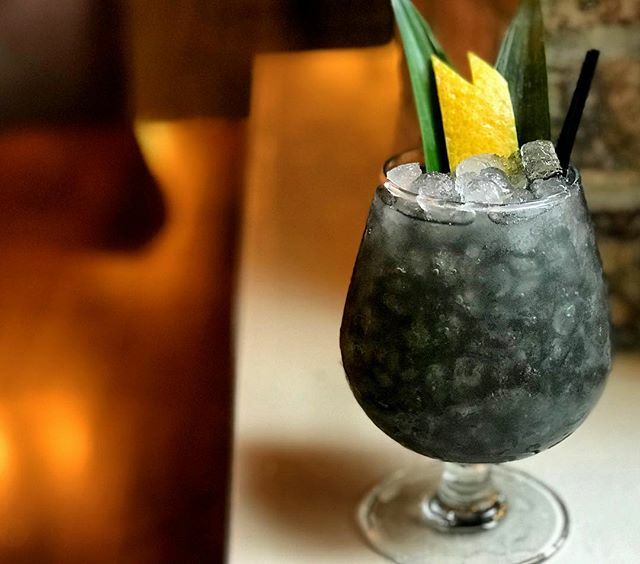 Toki-o Drift, their new feature cocktail, embraces the charcoal craze with additions of pineapple, lime and campari. 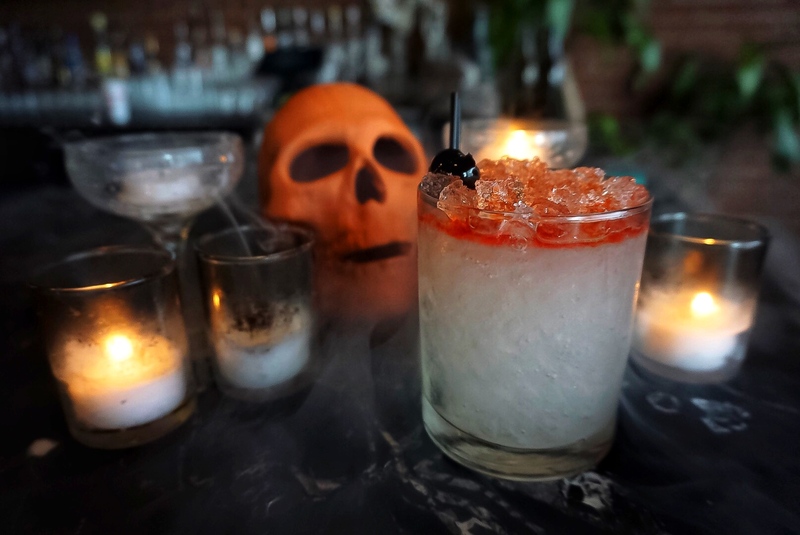 The speakeasy behind New City Microcreamery is a hidden spot that feels like a portal to another world, the hauntingly perfect setting to enjoy a Halloween cocktail. Their Blood on The Water drink includes lemon, bitter bianco, gin, Angelica liqueur, peychaud, and angostura bitters.